There are many ways to understand what is a function. One way that is very useful is to consider it a rule, which given an input, gives an output. 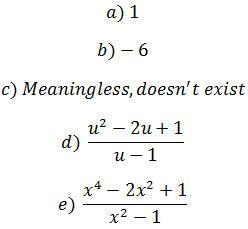 This way of looking at functions is very useful in calculus, and we'll be using it almost always. The box receives an "x" and gives the output "f(x)". The functions we use in calculus are rules that relate numbers. So, in our case, the "x" in the box represents any real number. In this case, we say that the function f(x) is evaluated at 1. We read f(1) "f of 1". 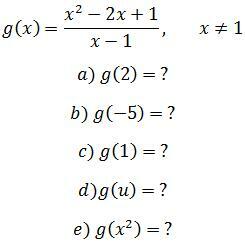 You may already have an idea of what is a function after taking algebra. When thinking about functions you probably think only about numbers. Don't think that functions are only about numbers. In fact, almost anything can be considered a function! Here are some hilarious examples of functions. I saw Salman Khan from the KhanAcademy teach using them, and I found them very useful. Let's say that I am a function. Let's study the Pablo function. In case you don't know, Pablo is my name. If you give me food, I'll output calculus pages! You output A's on your exams. You may or may not find these examples useful. I found them hilarious when I saw them. They are useful to show what is a function and that they are not limited to relationships between numbers. What is f(0)? Simple, right? Now, let's a do a slightly more complicated problem. Until now, to design a function we've been using only the letter f, as in f(x). When we have more than one function, we need other letters to name the functions. The favorites are "g" and "h". There are many ways to understand what is a function, because it is a very general concept. One way that is very useful is as a box, which given an input, gives an output.